Q: How do I view your upcoming teleconference schedule? Q: How do I register for a teleconference? Q: When is the latest I can register for a program? Q: I have a conflict and cannot attend your scheduled teleconference. Can I still register and get the handout materials and audio recording? Q: How much are your teleconferences? Q: What’s the difference between Standard and Premium Registration? Q: We have multiple people in our office that want to listen in on a teleconference. What do we do? Q: We have one or more satellite offices that want to listen in on a teleconference. What do we do? Q: Can I bring in other local professionals to listen in on your teleconference? Q: Do you guys provide Continuing Education credit for participation on your teleconferences? Q: It looks like your teleconferences are by phone only. How come you guys don’t do webinars? Q: When will I receive the dial-in information? Q: When will I receive the handout materials? Q: When will the audio recording be available to download and how do I download it? Q: Will my computer be able to play the audio recording? Q: Can I get the teleconference materials and audio recording on a CD? Q: What will I need the day of the event to participate? Q: Do I have to complete a Teleconference Response Form after the event? Q: What is the Certificate of Completion for? Q: We have multiple people in our office. How do we make sure each attendee is accounted for? Q: I am not completely happy with a teleconference I participated on. What is your refund policy? Q: Whoops. I registered for the wrong teleconference program. What do I do? Q: Do you have any tips for getting onto the teleconference on the day of the program? To view our Upcoming Teleconference schedule, click here. You can also access this page at any time by simply hovering over the Teleconferences menu at the top of the homepage and selecting “Upcoming Teleconferences”. You will then have the option to search by month. You can also utilize the Site Map to search for a specific teleconference. The easiest way to register for one of our teleconferences is to register online. You can do this either on the Upcoming Teleconferences page directly, or on the individual page for a teleconference. You will want to select Standard Registration or Premium Registration. Once you add the item to your cart, you will be taken to your shopping cart where you can enter in your payment information or continue shopping. You can also register by phone Monday through Friday from 8:30am to 5pm Pacific Time by calling us at 1-866-754-6477. We have attendees that register right up to the time the program begins (and we occasionally get a few major procrastinators that register shortly after the teleconference has started!). Since a majority of our teleconferences are available for purchase after the program has taken place, you can register for a teleconference at any time. However, to avoid any delays or complications, we recommend that register for a teleconference as soon as possible. Keep in mind that our office hours are Monday through Friday from 8:30am to 5pm Pacific Time (which often times means that we are not available until 30 minutes before most of our programs begin at 9am Pacific Time). Also, to help avoid any delays in getting the dial-in instructions and handout materials, we recommend that you register online if possible. Yes, provided that the particular teleconference you wish to purchase is recorded and available for purchase after the program has taken place. You will need to look at the individual teleconference details to confirm what is included with program registration. Our teleconferences vary in pricing, depending on the duration of the program, whether you want Standard or Premium Registration, and what else is included with registration. Typically each teleconference runs anywhere from $129 to $249. This may be higher if we offer 2-part or a series of teleconferences. This registration fee typically includes: live participation for one (1) office location, program handout materials, an audio recording, and a Certificate of Completion. Standard Registration includes: live participation for one (1) office location, PDF program handout materials, an MP3 audio recording, and a Certificate of Completion. Premium Registration includes everything that Standard Registration includes, but it also includes printed handout materials, a Data CD (or flash drive) containing the PDF handout materials, and an audio CD(s) that are sent via USPS 2-day Priority Mail within 5 business days of the teleconference. You also have the option of selecting express shipping for an additional cost for next day delivery (order must be place before 12pm Pacific Time for express shipping). You will have the option to choose a Flash Drive or CD-ROM upon checkout. One registration fee includes participation on a live teleconference for everyone in your office provided that all parties are listening in on one (1) telephone line. If you are unable to do this, you will need to purchase additional teleconference registrations to accommodate your office needs. If you have the means of connecting multiple people to one (1) telephone line before dialing into the teleconference, you will only need to register one time. Each registration includes up to one (1) telephone connection to a teleconference. If you are unable to do so, you will need to register any additional offices. Absolutely (and this is even encouraged)! We have several customers that utilize our teleconferences as a means of gathering local referral sources together and having them come to their office to listen in on our teleconferences. Keep in mind, your teleconference registration gives you one(1) telephone line connection to the teleconference so you can participate whether it is just you listening in or you have a room full of 20 other professionals participating. We currently are NOT a certified Continuing Education Sponsor and our teleconferences are not registered sponsors with any regulatory agencies (including NASBA, The CFP® Board, or any individual Department of Insurance or State Bar Associations). Part of the reason for this is because we service a number of estate planning professionals throughout the country and we are currently a smaller operation of less than 5 employees. The time and work involved to offer CE credit would not allow us to be able to offer these programs at a reasonable cost for each person in your office to attend. This is one of the reasons why we offer extremely timely programs, before many other competitors. It’s also the reason why we allow everyone in your office to participate and do not require a registration for each individual in your office. On most of our teleconferences, we offer a Certificate of Completion for those professionals that can self-report their continuing education participation to their regulatory agencies. Those individuals looking to self-report are also encouraged to complete a Teleconference Response Form to ensure that we retain a record of participation. All of our programs are done by teleconference only and do not require a computer or internet connection during the program to participate. We have found this format to be the easiest and cost-effective way of holding our educational programs, so that our participants do not need to worry about having the necessary technology and internet connection requirements to participate. It’s also the easiest way for us to coordinate with the speakers that we bring in who are not physically located in our office. All of our teleconference programs include note-taking friendly handout materials, which make it easier to take notes and follow along during the program. The teleconference dial-in information will be provided to you along with the handout materials two (2) business days prior to the date of the teleconference. This will be sent by e-mail to the e-mail address provided to us at the time of registration. If you register within the two (2) business days prior to the program, you should be able to immediately download the handout materials, which will contain the dial-in information. The handout materials are typically not available until two (2) business days prior to the date of the teleconference. An e-mail reminder will be sent from us containing a link to download the program materials. This e-mail will be sent to the e-mail address provided to us at the time of registration. If you register within the two (2) business days prior to the program, you should be able to immediately download the handout materials. The handout materials are provided as an Adobe PDF file. You will need Adobe® Reader® installed on your computer to view and print these materials. To download Adobe® Reader®, click here. The audio recording is typically available at some point either the same day of the teleconference, or the following day. An e-mail will be sent to all registered attendees with a link to download the audio recording. The audio recording is provided in an MP3 (.mp3) format. This file type is typically supported by most, if not all, standard computers(either Mac or PC). If you aren’t sure if you have software installed to listen to MP3 files, click here to download a free version of an MP3 software player. Also, you will need speakers or headphones in order to listen to the audio file. Yes, you will need to purchase Premium Registration, which includes all of the benefits of Standard Registration, plus you will be sent printed handout materials, a Data CD containing the PDF handout materials, and an audio CD(s) that are sent via USPS 2-day Priority Mail within 5 business days of the teleconference. On the day of the teleconference program, you will only need to have a telephone line available. Attendees are encouraged to have the teleconference handout materials printed in front of them during the program to take notes. Also, the Question & Answer session is done in an e-mail format, so if you wish to submit a question to the speaker, you will want to have access to your e-mail in order to send in your question(s). Participants are not required to complete and submit a Teleconference Response Form; however, it is recommended that you do so in order to provide us feedback about the speaker, the topic, and any other interests that you may have. Also, any attendees looking to self-report CE are encouraged to submit a Teleconference Response Form (especially for multiple attendees from one site) in order for us to retain a record of participation. As a courtesy to those that are self-reporting CE for participation on our teleconferences, we provide a Certificate of Completion. Any attendees looking to self-report CE using the Certificate of Completion are also encouraged to submit a Teleconference Response Form after the program (especially for multiple attendees from one site). Each attendee can print out the handout materials (including a Teleconference Response Form and Certificate of Completion for self-reporting CE). On the day of the program, attendees should gather where one (1) telephone line can dial into the program (or connect via conference line to one line that is dialing in to the program). We recommend that all attendees submit a Teleconference Response Form following the program send to us via fax at (310) 464-3514 or by e-mail to events@ultimateestateplanner.com. Contact us immediately at 1-866-754-6477 or by e-mail at events@ultimateestateplanner.com and we will assist you in swapping out your registration for the teleconference you intended to register for. Q: I’m having trouble downloading the handout materials or the audio recording. HELP! 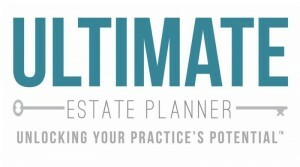 If you experience any problems downloading the handout materials or the MP3 audio recording, e-mail us at events@ultimateestateplanner.com or contact us at 1-866-754-6477. Someone from our team will be happy to assist you. Absolutely! See below for some tips on getting onto the teleconference on the day of the program. Download the handout materials as soon as possible to ensure no delays in any complication that may arise in download the handout materials or printing them out. If you don’t have the handout materials, contact us immediately at events@ultimateestateplanner.com or by phone at 1-866-754-6477. Make sure that you have access to a telephone line (one telephone line per registration and your line will be muted, so if you wish to be on speakerphone or listen my mobile, don’t worry about any background noise). Dial into the teleconference about 5 minutes prior to the starting time. This will help to avoid any delays from other attendees logging into the call. The telephone number and access code can be found on the first page of your handout materials. You will hear a musical hold until the program is about to begin. If, for some reason, you need any assistance while on the call, you can press *0 to summon an operator to assist you.